HomeOpinionShould DCU follow suit and become a smoke free campus like UL or is this unfair? Should DCU follow suit and become a smoke free campus like UL or is this unfair? The University of Limerick announced that it is becoming a smoke-free campus with the purpose of protecting “employees, students and visitors from exposure to secondhand smoke”. With UCD and Trinity College looking into doing the same, this seems to be a popular path many Irish campuses are taking. However, there are mixed opinions on whether or not this is a good idea, whether or not it is fair. Becoming a smoke-free campus would be a step towards a healthier environment for DCU, but it’s definitely not what everyone wants. On such an open campus, a rule like this may be difficult to enforce. Banning smoking may not have the desired effect. It won’t necessarily cause people to quit and could just incentivise people to leave the campus to smoke. One UL student argued that “stress levels would skyrocket”. Many people use smoking to de-stress and on a university campus where stress is no stranger, taking away this outlet might to do more harm than good to some students’ mental health. However, the arguments for a smoke free campus are not weak. It has the potential to lead smokers in the direction of quitting and would significantly decrease second hand smoking. On one hand, the public are free to come and go from the campus and there could be an attitude of “mind your own business”. However, this can’t always be the case with smoking due to the risks of second hand smoke. Although it’s long been proven that smoking can have detrimental effects on your health, it is a legal, personal choice and from that standpoint, it shouldn’t be the business of a university. It becomes the business of the university when we consider second hand smoking. 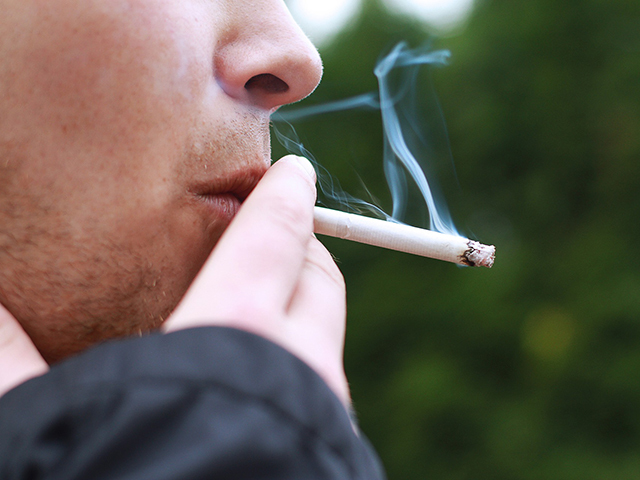 Exposure to secondhand smoke can increase the risk of heart disease and lung cancer. The question here is whether it is DCU’s responsibility to protect the people on its campus from this. UL has chosen to make it its responsibility. When UL banned smoking in college buildings in 1997 there was upset among students and administration and some even felt they were being “discriminated against” because “smokers are citizens and have rights”. Today, it’s common knowledge that you step outside for your smoke break. What seems unfair now may seem like obvious common practice in a few years. An alternative could be assigning designated smoking areas around the campus. This would limit the areas in which people are exposed to smoke while keeping smokers happy. However, UL’s decision isn’t about keeping people happy, so DCU would need to work out its priorities. I believe that if a smoker is aware of the risks and is doing no damage to others, there is no issue. However, when brought into a densely populated area such a college campus, the act of smoking becomes selfish. UL have taken a step in the right direction. There is no denying the health risks of second hand smoke, and this addiction shouldn’t be put in front of the well-being of others.